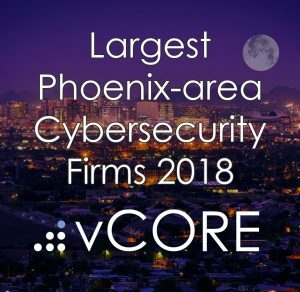 Scottsdale, Ariz. – Jan. 22, 2018 – The Phoenix Business Journal has named vCORE Technology Partners to a short list of top cybersecurity firms in Arizona for 2018 — following vCORE’s heavy investment into its security practice and surging demand from IT organizations. vCORE, one of North America’s fastest-growing IT solutions & services providers, offers engineering expertise including endpoint security, cloud, firewall, crypto, identity and compliance. 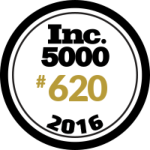 The company was recognized by CRN as one of the nation’s “Tech Elite” solution providers in 2017, based on technical expertise and critical certifications. The Phoenix Business Journal, which covers technology and other business-related news for more than 45,000 subscribers across the metro area, featured 14 local cybersecurity firms among its top list for 2018. 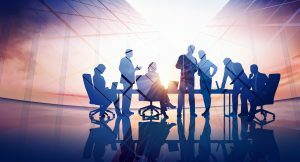 Top executives from each firm were asked to weigh in on issues such as recruiting cybersecurity talent and the role of business and technology in fighting cyber crime. “In order to thrive in today’s digital world and earn clients’ trust, businesses must invest in cybersecurity not only to protect their own brand, but to fulfill a fundamental obligation to preserve the privacy and intellectual property of their customers,” vCORE Founder/CEO Steve Leavitt said. The full Phoenix Business Journal article can be found here. See how vCORE engineers integrate cybersecurity solutions with a working knowledge of your application-delivery and business needs. Register for a free, no-obligation strategy session with vCORE engineers to learn how best-of-breed cybersecurity solutions can help protect your organization.